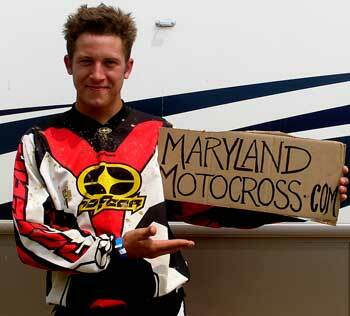 Marylandmotocross.com: Hello, hello, hello, Can I speak to Zeke? Zeke Ziemann: Err… this is him. 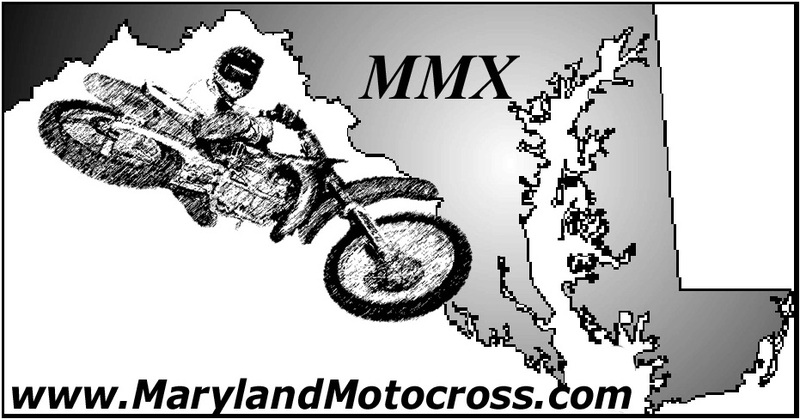 MM.com: Hey Zeke, this is Scooter from Marylandmotocross.com, you got a couple minutes? MM.com: I was wondering, how did you did on the 4th of July weekend? ZZ: I did pretty good, 4-stroke I won, collegeboy I got second. MM.com: At least you don’t sound bitter about a second..
ZZ: No, ahh…I don’t know. MM.com: Tell us about the bike you won. ZZ: Oh yeah a KX 250. MM.com: Have you had a chance to try it out yet? ZZ: Ahhhhhctually, I went there today and traded it in for a YZF. MM.com: (Laughing) You gonna tell them you did that? ZZ: Uhh.. they already know about it. MM.com: Ok, good deal, so how old are you and how long have you been riding? MM.com: Whaaaaa? 2. What did your parents duct tape you to a remote control bike or something? ZZ: (Laughing hard) Nooooo. I was a little guy, but I had a 50, PW 50, with training wheels. MM.com: Wow, that’s pretty impressive. ZZ: Yeah. (Pause) I fell a lot. ZZ: (Surprised) Huh? (Defensive tone) Yeah… I’d really like to know how we could have done that? There was a little guy, a little kid, who put his had in the box and pulled out a slip and it was my name on it. MM.com: Yeah Angel muffin is one of the Godfather’s cronies so of course he chose your name. They say that the Godfather has his hand in every jar, err… box. ZZ: No, it was someone else, it was the kid who, uh, won the nationals in flattracking (Kenneth Venarchick of Newcastle, Delaware). He pulled it out. MM.com: Uh-huh. Sure. 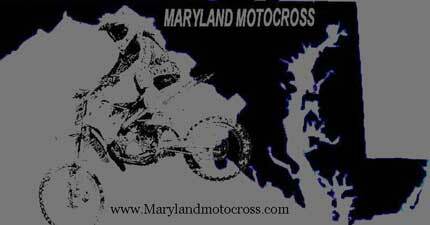 Looking forward to going to Loretta’s this year? ZZ: Going? I didn’t make it. I got landed on at Dublin Gap. MM.com: Ooh, how’d that feel? ZZ: It hurt pretty good. 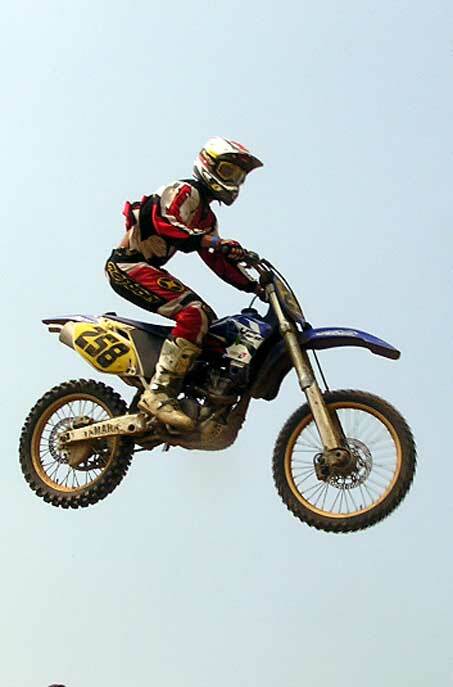 I didn’t know what I was doing for a little bit, they had to get the bike off of me, I crawled off the track and uh, I was allright though. I got back on my bike and went the pits. MM.com: Well, you’re a better man than me I probably would have sat there and cried until Kevin Duffy came and scooped me up off the track. MM.com: Do you have any advice new for anyone new to the sport? ZZ: No, just keep riding and have fun with it. It’s a good time. MM.com: Allllll-righty. So are there any events or track that you look forward to throughout the year? ZZ: I like going to Loretta’s. This will actually be the first time that I am going and I didn’t make it to compete. I’ll be going with Todd Wilcom, his family invited me to go. I like Mini Os a lot, that’s a fun track. MM.com: That guy Todd’s all right, he’s quiet, but he’s pretty kewl. ZZ: Yeah, he’s usually pretty quiet until he gets around me. Together we stir up some trouble. MM.com: Have you been approached by people about getting your pictures in that teen heartthrob magazine the girls were telling me and, hold on, Kev what magazine was that? Kevin Duffy: (Stops scrubbing frying pan and shrugs) I duuno, GQ? MM.com: No! that other magazine Kodak Boy! Kevin Duffy: Man I have no idea what you’re talking about. ZZ: What’s this… What…What magazine? MM.com: The girls were talking about getting, you Todd, Corporal Cutis, and Captain M, know anything about it? ZZ: (Puzzled) No idea. I have no idea what’s going on. MM.com: How much money you got? I’ll find out about it for ya. MM.com: Moving on, what type of racing gear do you recommend? ZZ: I have No Fear. I like their gear. MM.com: Man, I used to wear that stuff, it’s Old Skool. ZZ: Oh yeah, it is Old School. MM.com: That’s like back in my dayyyyyy. When I was around. ZZ: Really what else did you wear “back in the day”? MM.com: Mostly black socks. But anyway, any aspirations of going Pro? ZZ: Um, maybe one year, I have to work a lot. It’s hard for me to get off work sometimes, or work and then go riding cause Papa’s always saying that riding is no good for me, but it’s what I want to do. MM.com: And the bottom line is that you should do what makes you happy no matter what anyone else thinks as long as it isn’t illegal or involves used tupplewear. ZZ: That’s it exactly and sometimes people don’t understand that. MM.com: Well, thanks for you time Zeke and we hope you enjoy your new bike. ZZ: All right bro, thanks.